The Future of Real Estate Websites is Here! Many real estate brokers and agents have come to realize that the best platform to launch a real estate website on is the WordPress Content Management System. We specialize in high-end custom WordPress website design for top producing agents as well as produce the most powerful broker office applications that provide all the tools needed to effectively manage company lead assignment and enhance office listings beyond the capabilities of your local MLS provider. You simply will not find a better product on the market that uses WordPress as the core content manager. With the recent advancements made by the developers of WordPress and of course us, the developers of the ORIGINAL WPRETS, our WordPress real estate websites are more powerful than ever. (Be aware, our product is NOT the WPRETS recently offered by WPRealty) From the built in Customer Relationship Management application to the ability of the original WPRETS to easily manage 100,000+ regional MLS listings, WPRETS sets the standard for Imported Listings Management in WordPress. You simply can not find a better product for functionality and reliability. 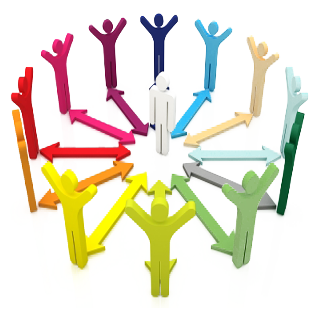 Manage New Leads and Previous Contacts! Never again will you have a lead or contact slip through the cracks. Your new WordPress Real Estate Website takes the pain out of managing a large contacts list. Each new lead created by your website becomes a contact, the admin screen allows you to add your previous contacts and you can prioritize your contacts by their current status. Ample note and comment areas allows you to keep a virtual diary of all your contact relationship history. 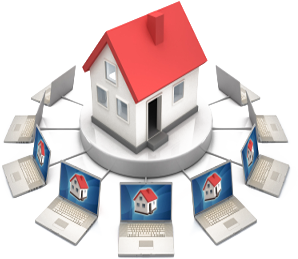 Using the built in Email system, you will be able to automatically create drip emails, send new listing information, and also allow perspective home buyers to create member accounts to save their favorite listings, receive automatic updates on price changes as well as receive information on new properties that come on the market daily. This functionality is virtually hands off allowing you have more time to do what you do best, sell real estate! Display Regional MLS Listings In Your Website! WPRETS is a powerful MLS Listings Manager that allows perspective home buyers to search for a new home on your WordPress real estate website. When paired with with our RETS (Real Estate Transaction Standard) Importer, the listing information on your website will constantly be in-sync with your local MLS providers information. Listing updates can be performed every quarter hour making the listing information displayed on your website vastly more current than any other real estate portal in your market. Add this to the speed in which our servers deliver information to your viewers, you will certainly steal the show. Accurate information, fast server response time, and ease of use is what keeps perspective home buyers coming back to your site, and away from your competitors. 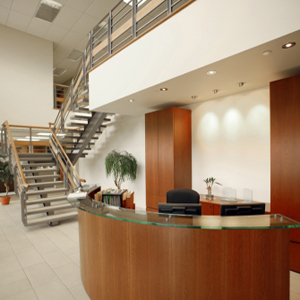 Solutions for Real Estate Broker Offices! WPRETS contains the most powerful lead assignment functionality available in any WordPress real estate website in the industry. Track your agents followup and the current status of any company generated lead when you assign it to an agent using our system. Is your MLS a little weak when it comes to the images and information allowed in the listing? With our broker solution you can enhance every office listing displayed on your website through the addition of additional photos, enhanced listing descriptions as well as display maps of the properties location. Our broker solution is the most powerful WordPress real estate office application you can find without spending thousands on custom development. WPRETS is the only proprietary Plugin that fully manages imported MLS listings and your client contacts within the user-friendly WordPress dashboard. For customers whose service areas are served by separate MLS’s, we do have to ability to merge more than one MLS feed into a custom listing database for your site. Brokers with multiple agents simply can not find another out-of-the-box application that provides the same listing enhancement, lead assignment and lead management functionality as or product delivers without paying thousands for custom development.